A sweet molasses sauce on the surface has a whole lot more going on under the hood with a plethora of spices that give a unique and delicious flavor profile. David Bouska is the man behind the popular Butcher BBQ brand. Before starting up with barbecue competition, David spent 22 years working in meat markets and sausage shops. He brought the ingredients he used to enhance the meats in those positions to barbecue, creating a brisket injection that's become the backbone of many barbecue teams. 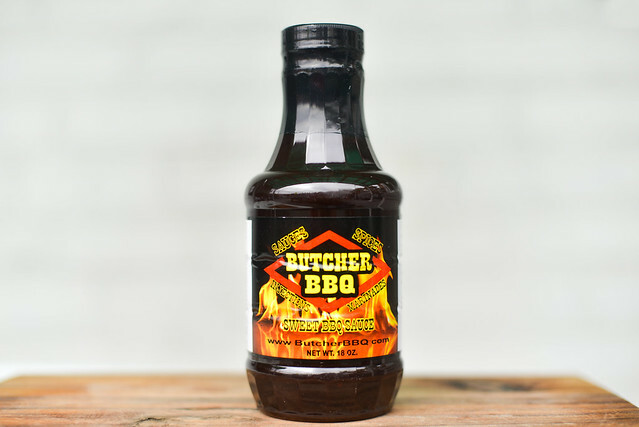 Over time, David continued tweaking that brisket injection to make it perfect, as well as adding an entire line-up of products to help up your barbecue game—these include a chicken injection, all-purpose injection/brine, a variety of rubs, and this sauce. Take a stroll around any barbecue competition and your sure to see his products in use. A strong, sweet molasses aroma with a mellow vinegar tang fills the nose on first whiff. The molasses is so predominant that it drowns out other ingredients, although you certainly get a good hint of tomato ketchup that forms the base. Spices are much tougher to make out, there's an earthy component that makes chili powder a likely player, but there's little to no heat to this sauce by smell. 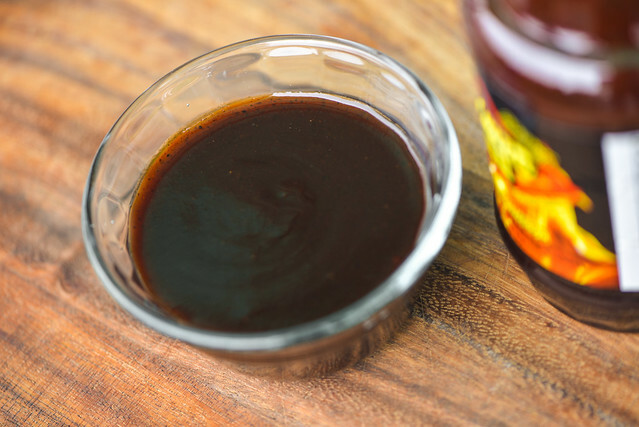 This dark brown sauce has a smooth and glossy appearance. It runs medium thick with a syrupy consistency that makes the sauce fall quickly in a steady stream off of a suspended spoon. As the sauce slows to a few final drips, a transparent, medium coating of sauce is left clinging to the silverware. In this layer of sauce, a plethora of spices can be seen in varying shades of earthy red and black. The first taste of this sauce is oddly flavorless. It's not until the sauce settles on the tongue for a couple seconds that the sweet combo of molasses and ketchup comes out. 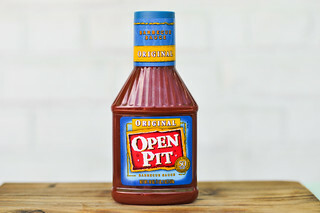 Vinegar plays it part quickly, adding the distinct barbecue sauce tang without being overbearing. At this point, the spices begin to stake their claim. You can feel all the specs of spices on the tongue, and at first they add a earthy and slightly smoky flavor. Then, as the sauce starts to leave the tongue, a mild heat builds up and lingers, giving a final pleasing sweet, tangy, and spicy aftertaste. 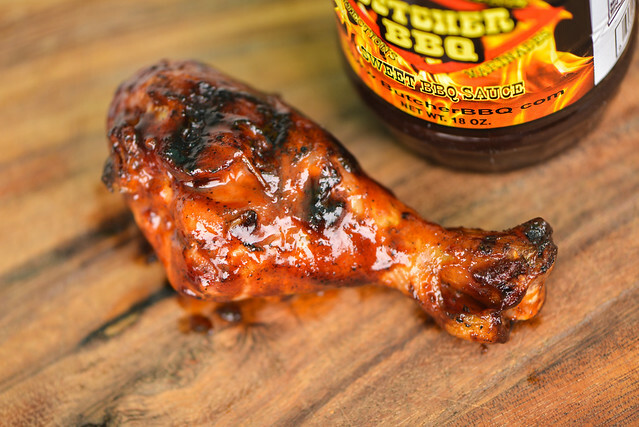 The sauce coated the chicken leg in a thin, even layer that built up thickness over multiple brushings. It baked in very well over indirect heat, then caramelized quickly over direct heat, with some minimal burning. 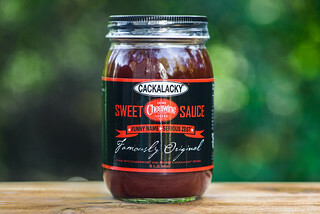 The flavor remained similar to out of the jar, with a primarily sweet molasses profile that had smoky and spicy underpinnings that became more prevalent after subsequent bites. Any portion of sauce that had a slightly burnt appearance didn't taste burnt at all, instead they were intense bits of caramelized sauce that made the entire experience all the better. David Bouska knows more than a thing or two about what makes perfect competition barbecue, and this sauce is proof of that. It has a color, glisten, and robust flavor that would make a judge take notice in only one bit. Luckily, it held up great on the second, third, and all bites, where the complexity of the spices really took shape. 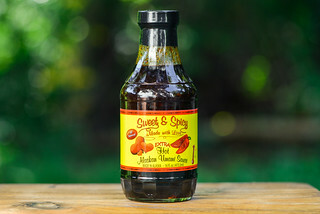 I think this makes the sauce well suited both in competition and the backyard, creating beautiful pieces of chicken, ribs, pork, etc. that are sure to impress your guests.